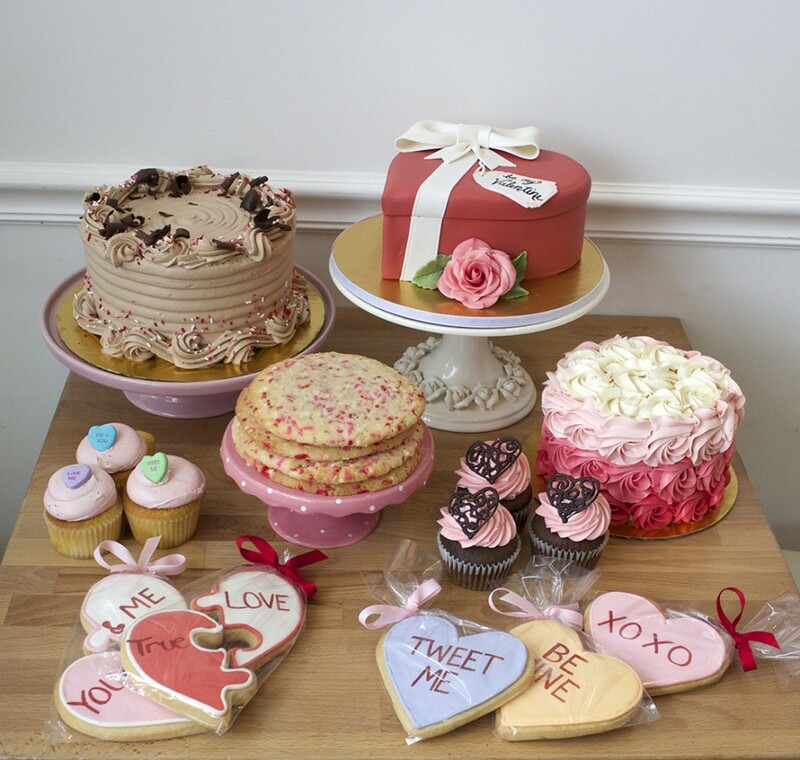 We’ve got all the sweets for your sweetheart this Valentine’s day. 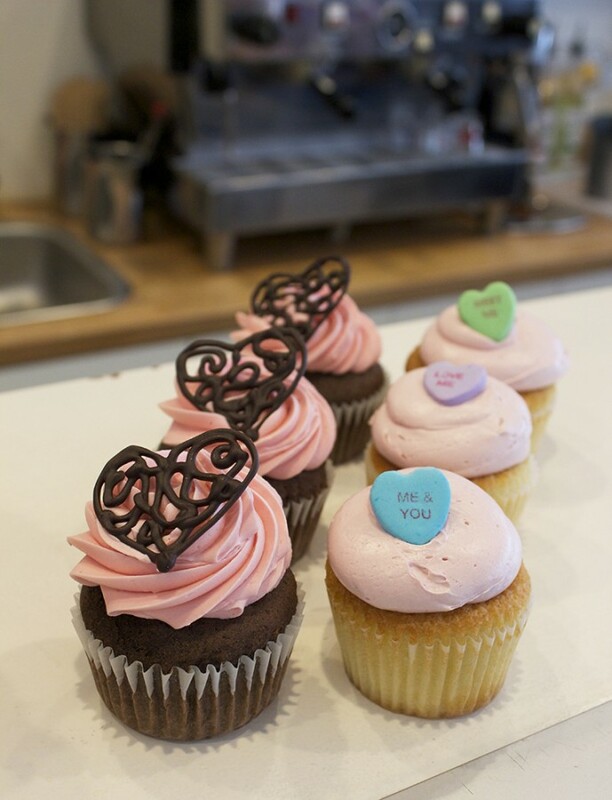 Stop by our shop in Boston and pick out your favorite assortment of goodies to surprise that special someone with. Cake, cupcakes, cookies, cheesecake, we have it all! Our Valentine’s Gift Box Designer cake is a flat $100, wrapped in our Marshmallow Fondant and comes with a choice Red Velvet, Chocolate or Yellow cake with vanilla Buttercream. Serves about 10-12. Pre-Order only. 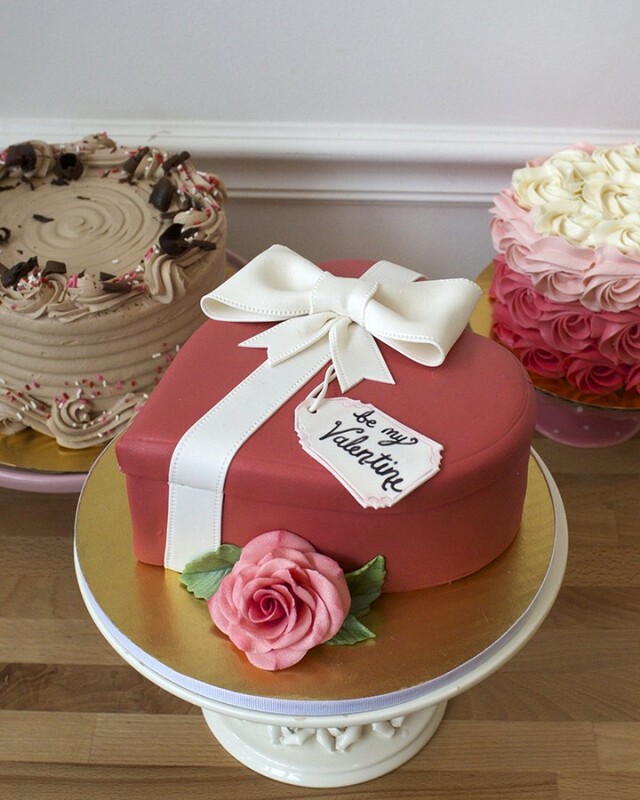 Behind the heart cake are a couple examples of our Gourmet buttercream cakes which can be pre-ordered with you need a specific size and flavor combo but we do always have an assortment of cakes ready in our display case everyday. Each Conversation Heart decorated sugar cookie comes with it’s own unique phrase and is individually gift wrapped. 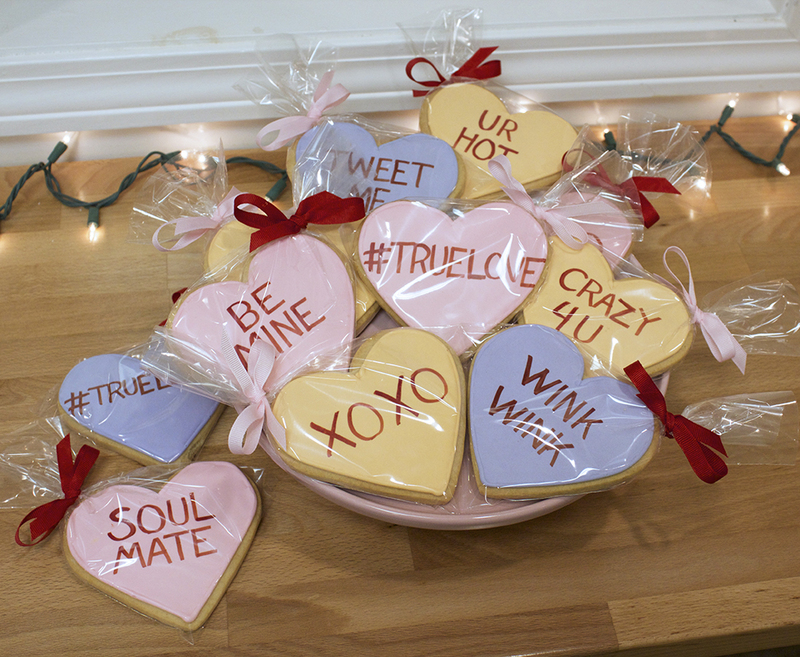 These are available in our store everyday up until Valentine’s Day. We keep our display case full with a variety of cupcakes everyday. Exclusively for Valentine’s Day we have chocolate cake with raspberry buttercream decorated with a chocolate lace heart and yellow cake with cherry buttercream and a candy heart on top.